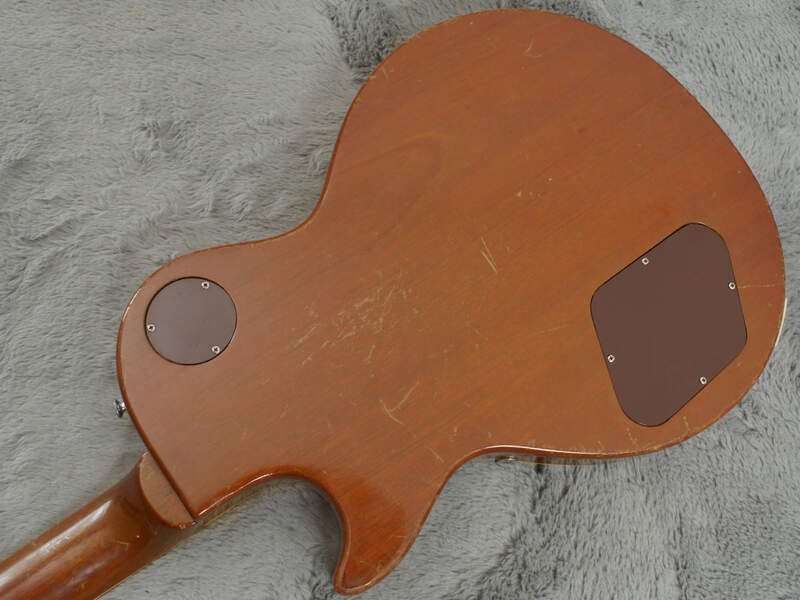 Here is a very cool piece. 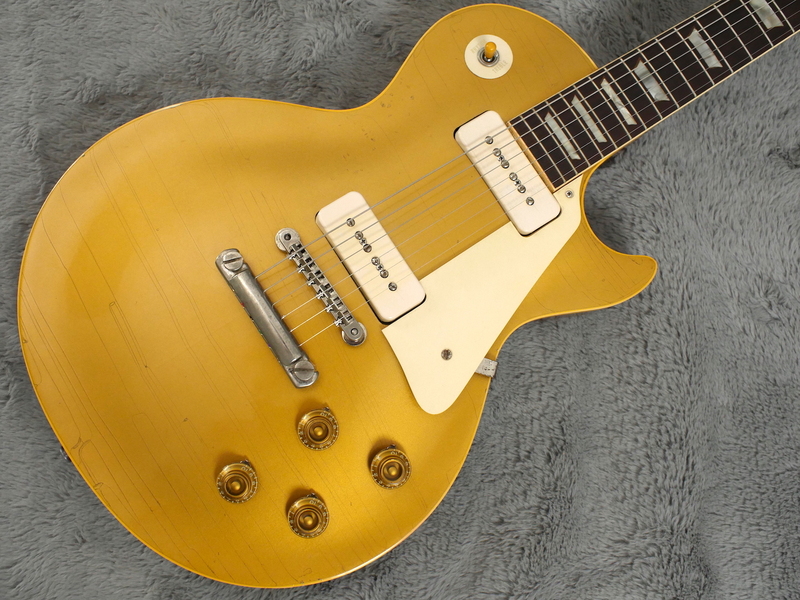 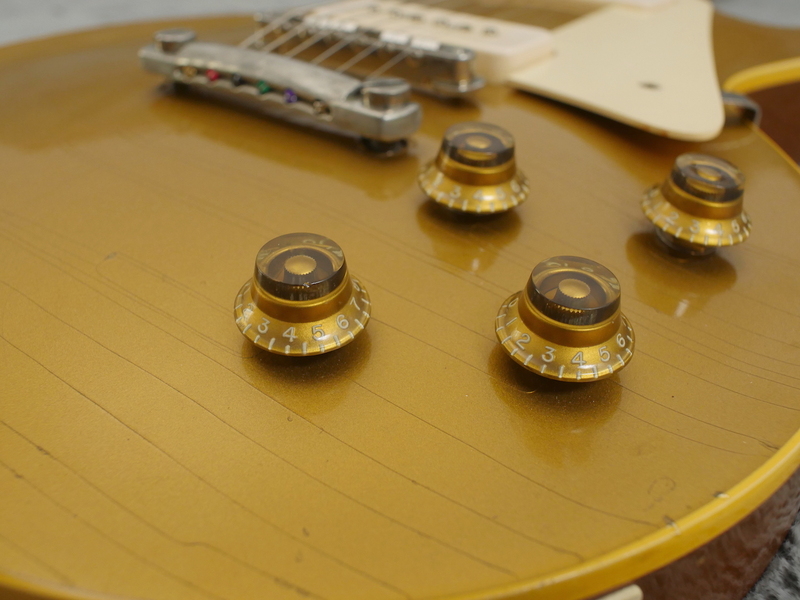 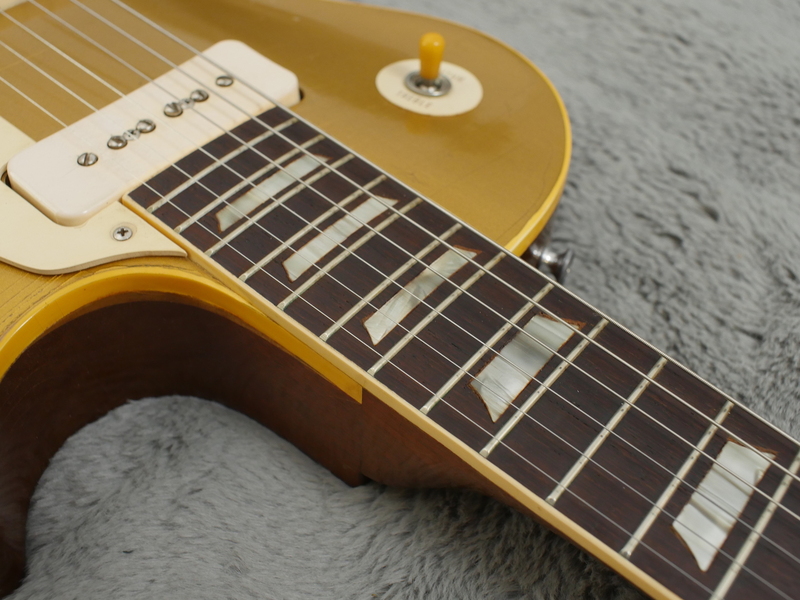 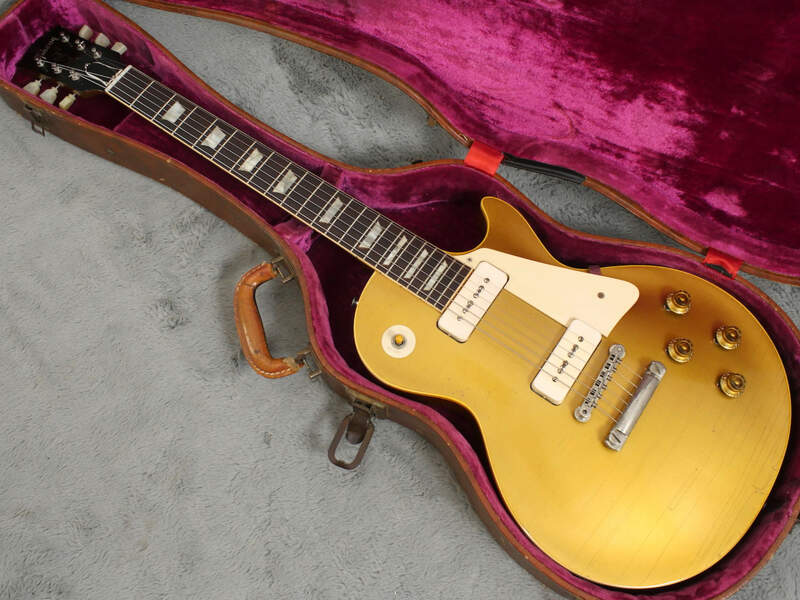 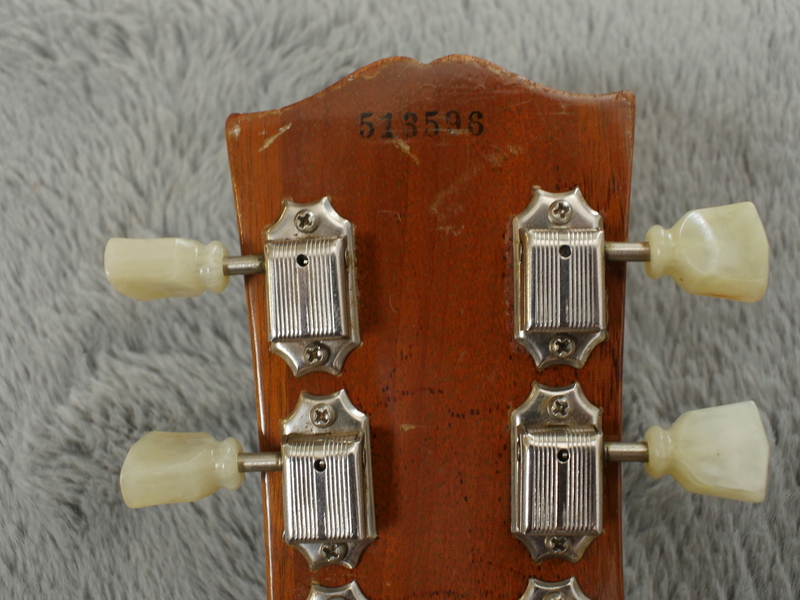 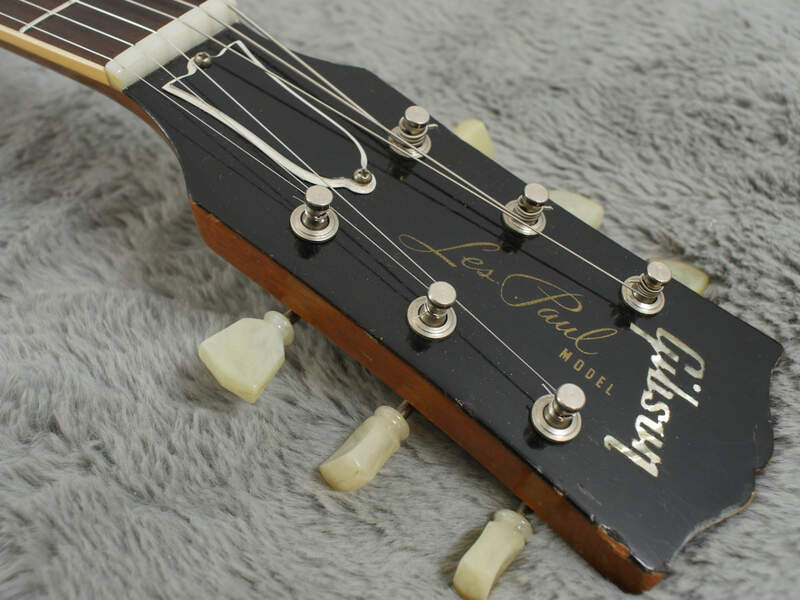 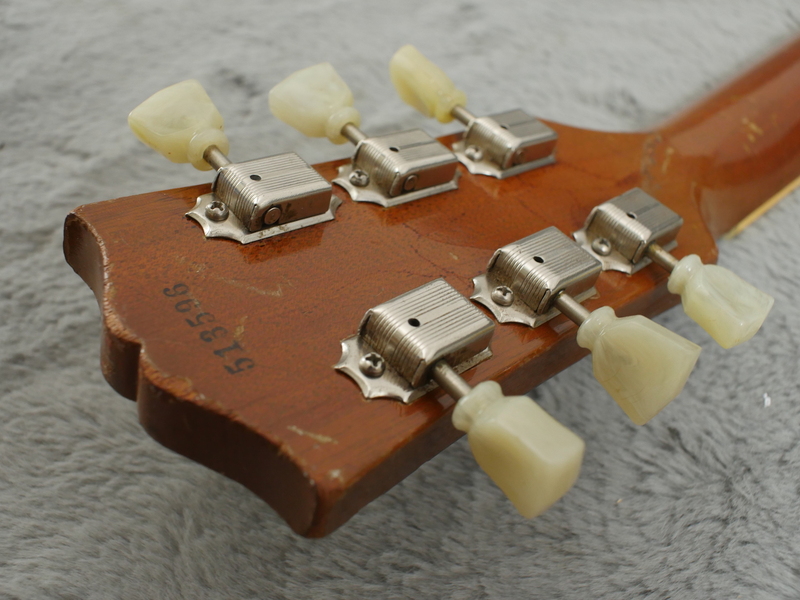 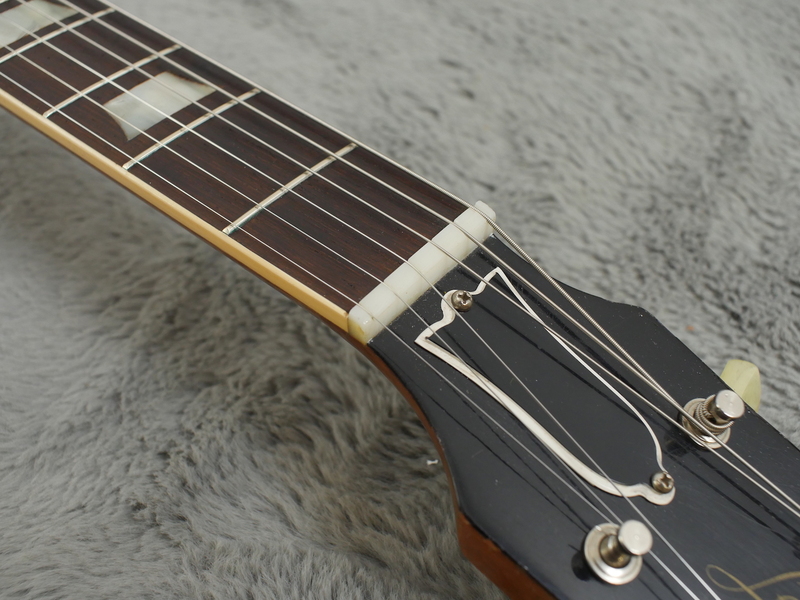 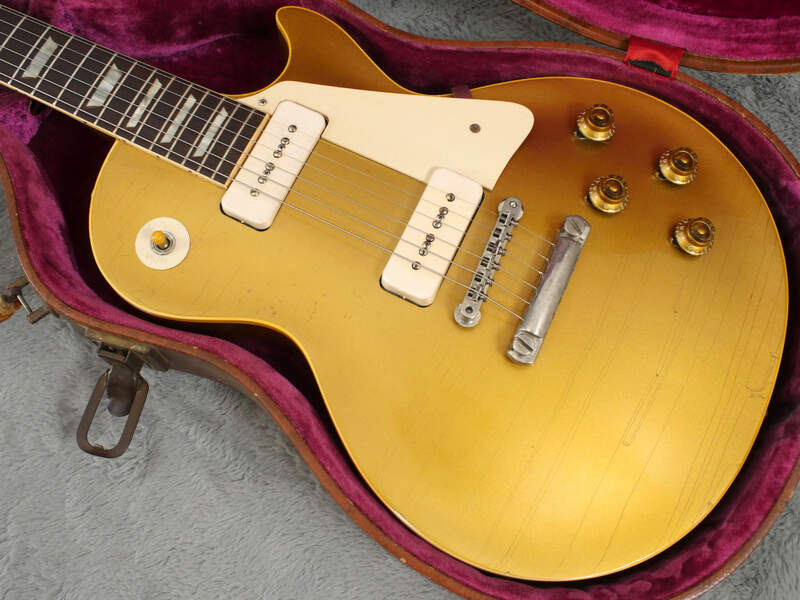 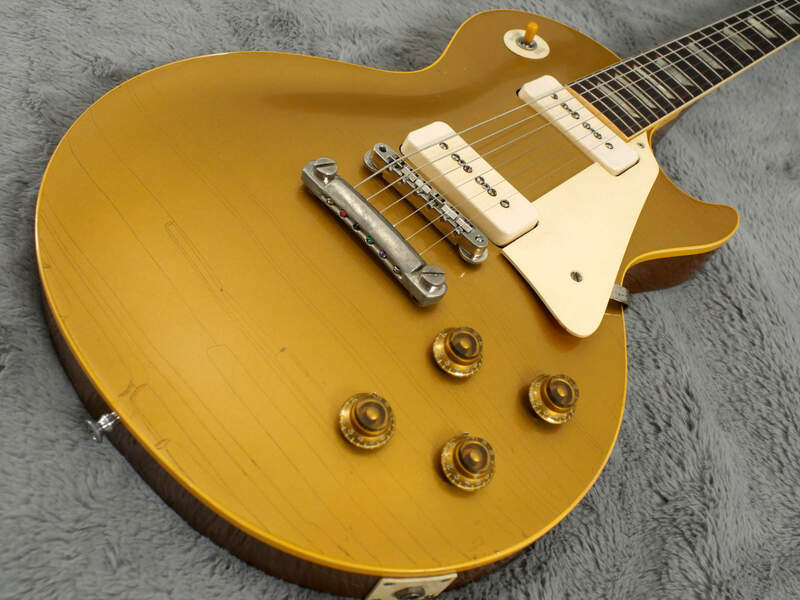 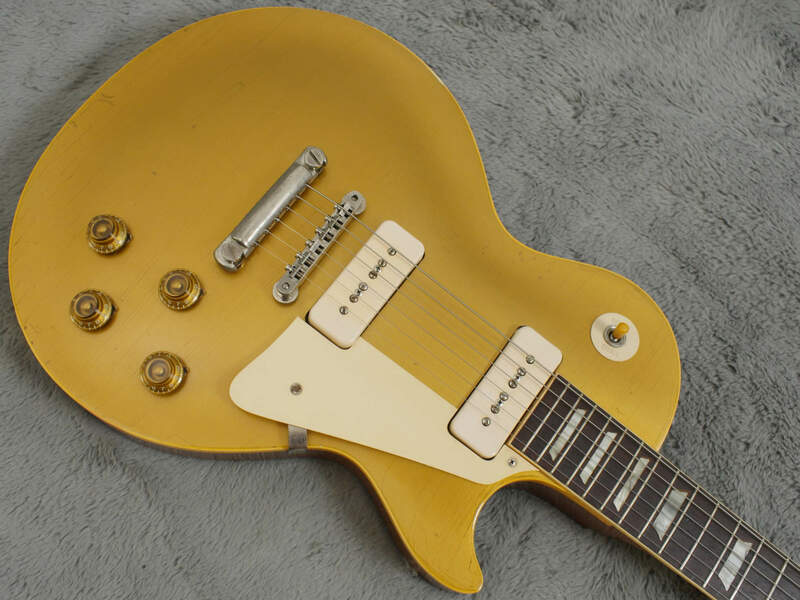 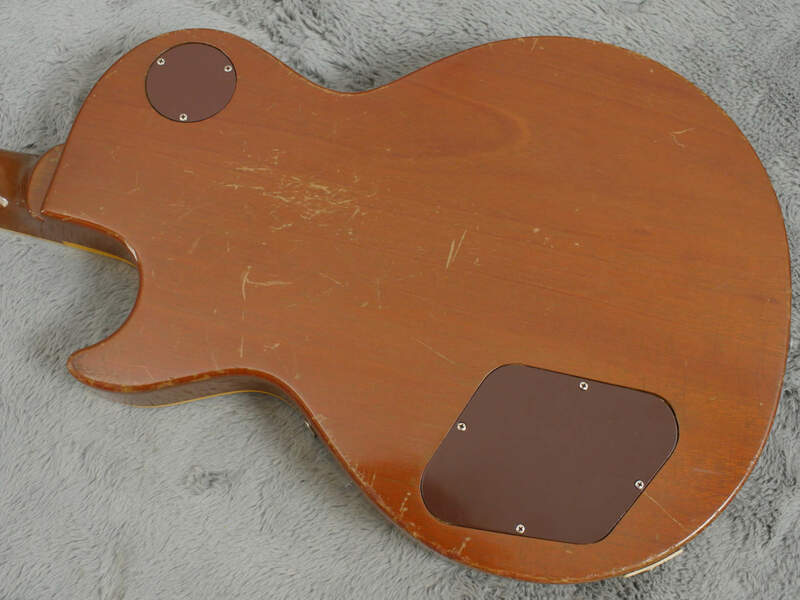 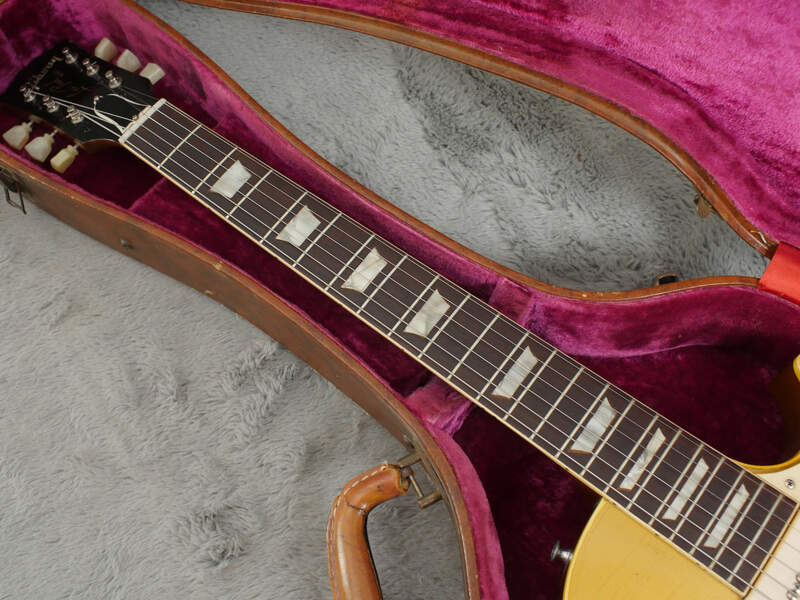 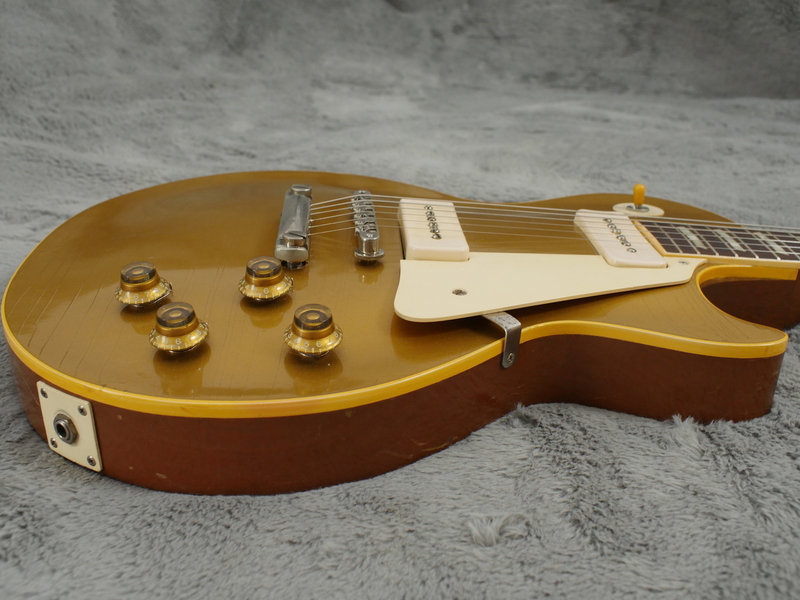 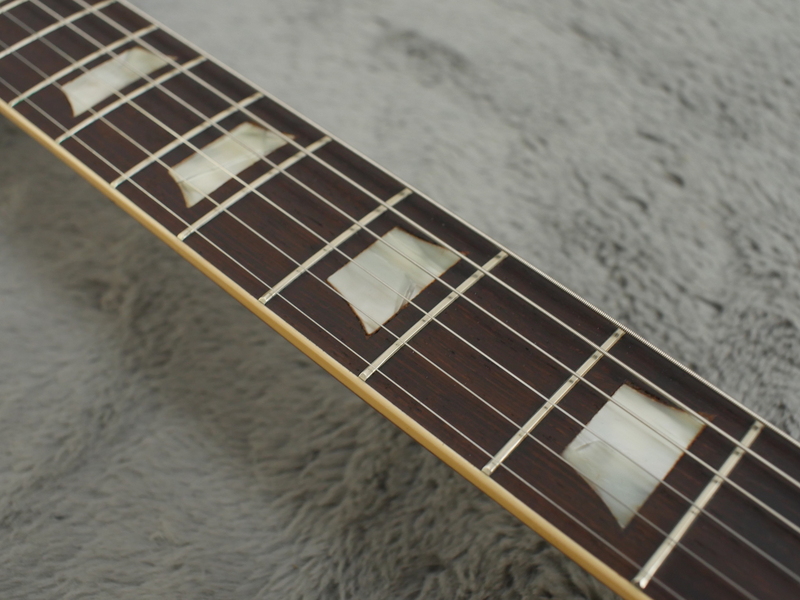 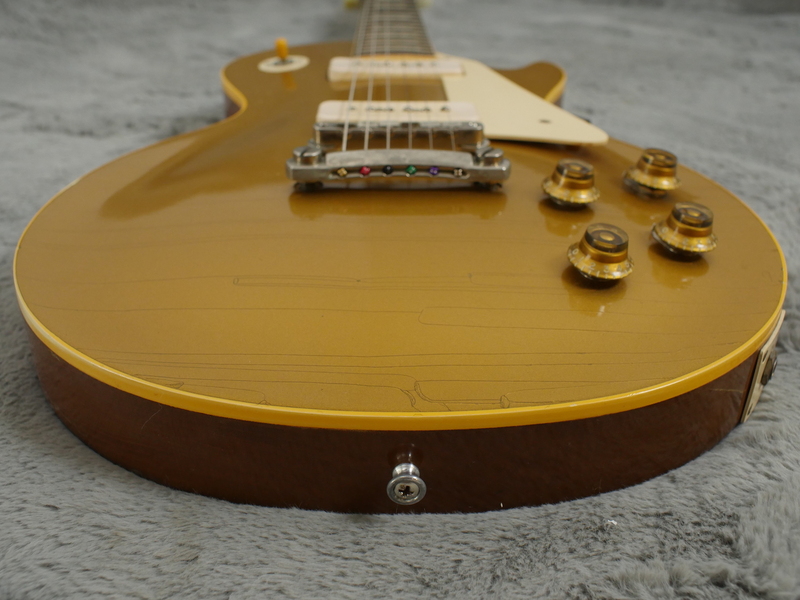 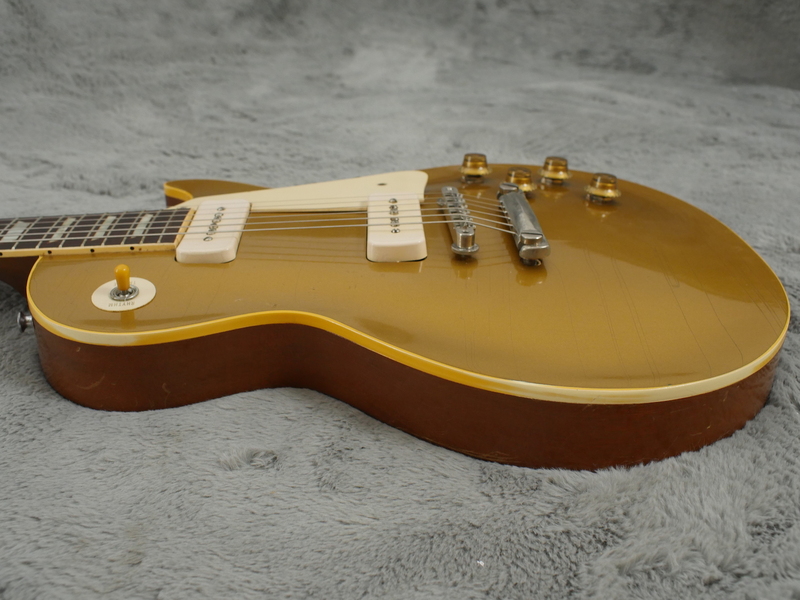 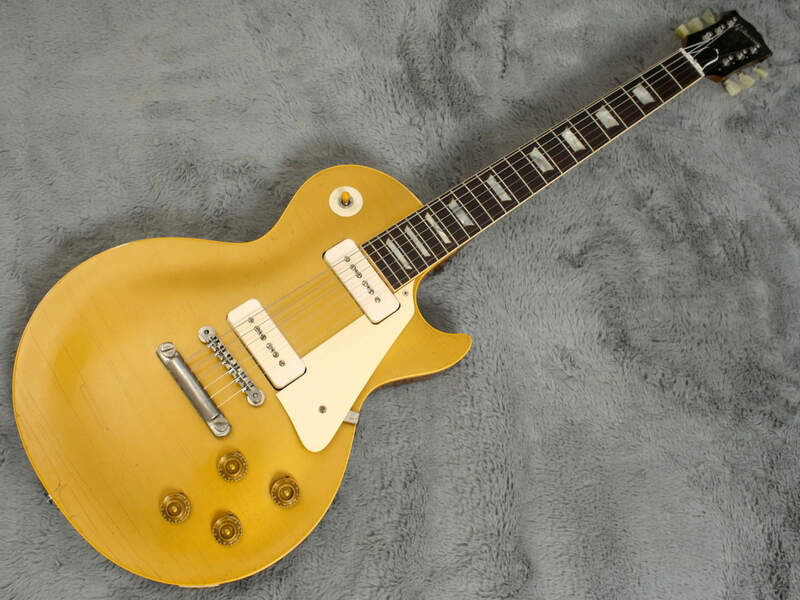 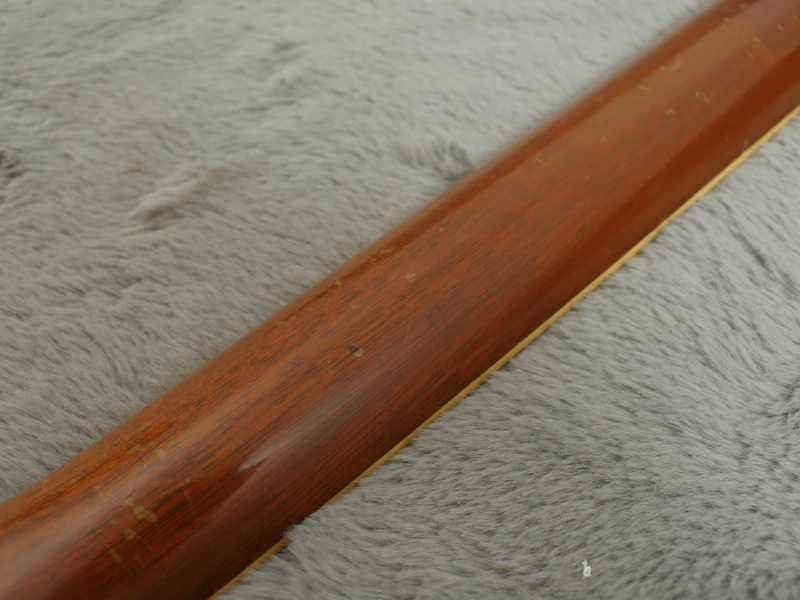 An original, very late, six digit serial number, 1956 spec, 1955 Gibson Les Paul Standard Goldtop at a bargain price, with the classic tunomatic, stop tail and P-90 setup with all correct parts and in very fine condition and original finish - why is it so cheap? 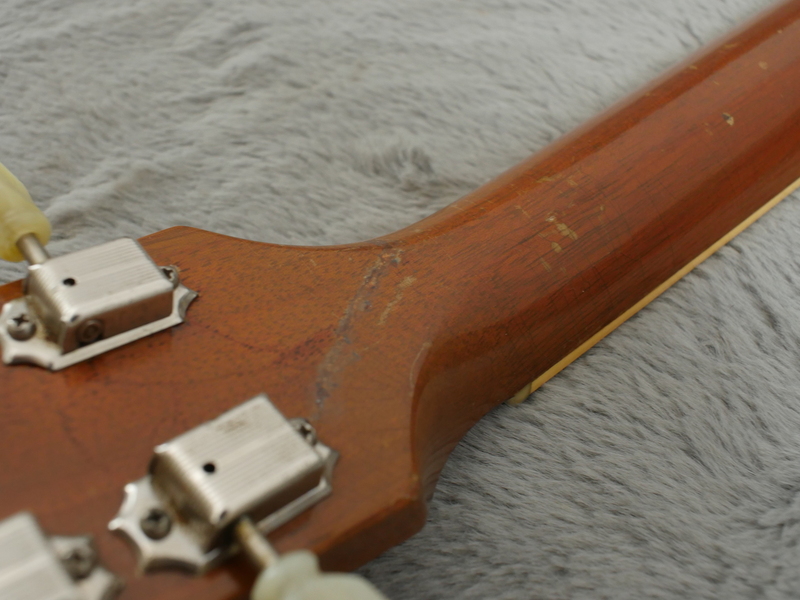 You’ve probably guessed by now, yes it has had a very well repaired headstock crack. 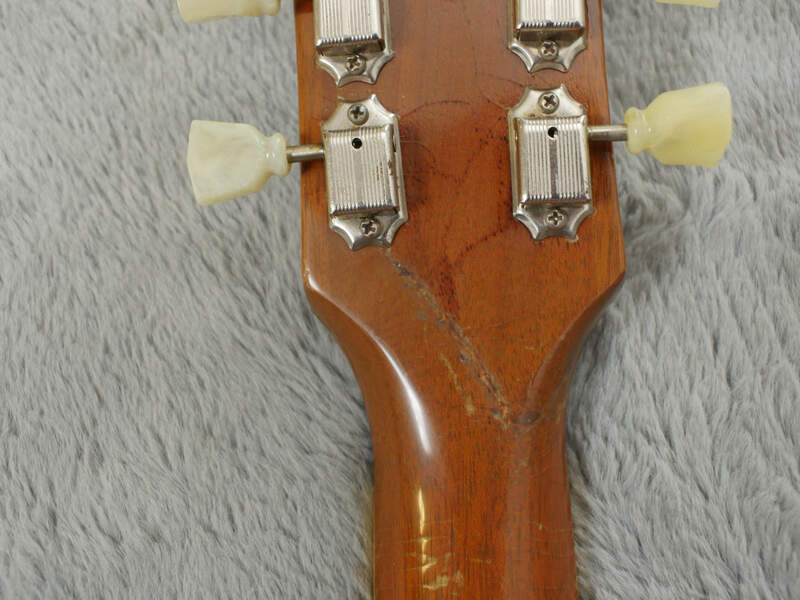 According to the person we bought this from the damage was done in 1964 however when we received it, it was a poorly repaired crack, almost like an open wound so we sent it to our genius tech who did the repair properly and made it much smoother than it was. 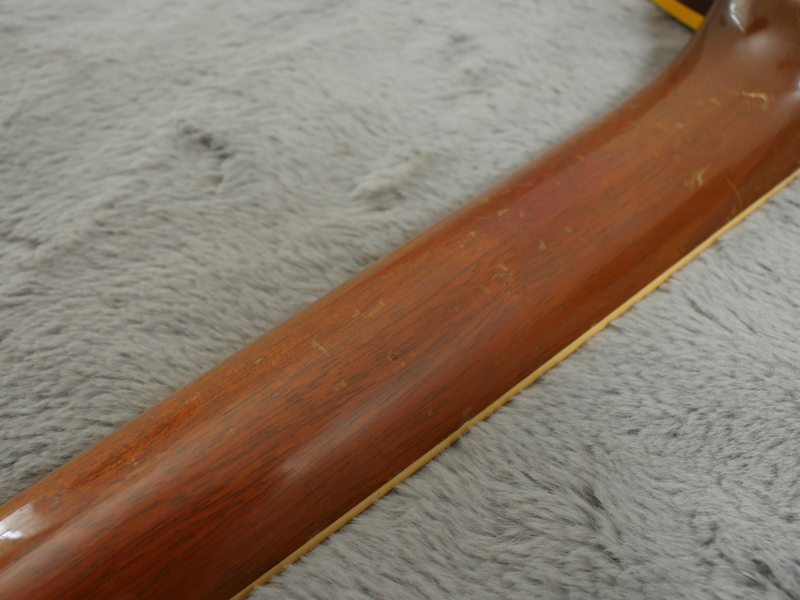 You can still see it of course, he did not try to disguise it, but at least now you cannot feel it! 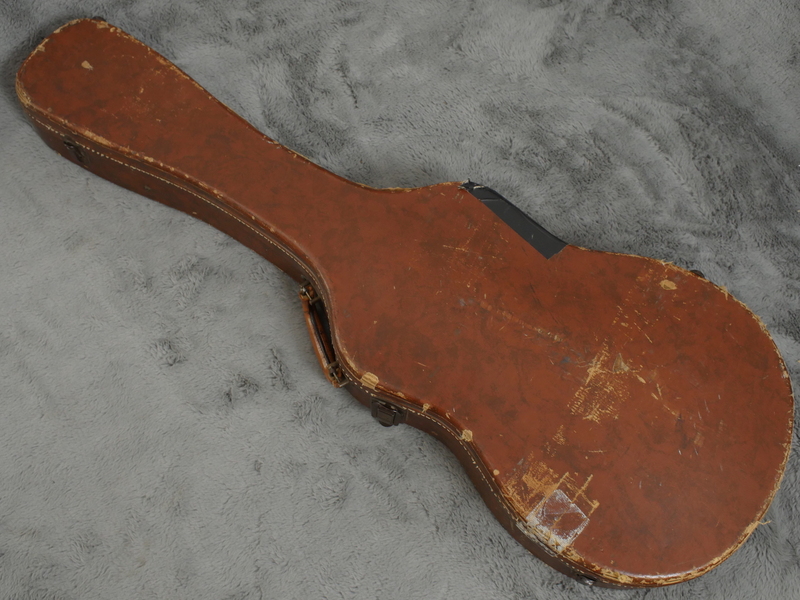 Aside from that minor incumbrance this is a really nice guitar in very fine condition. 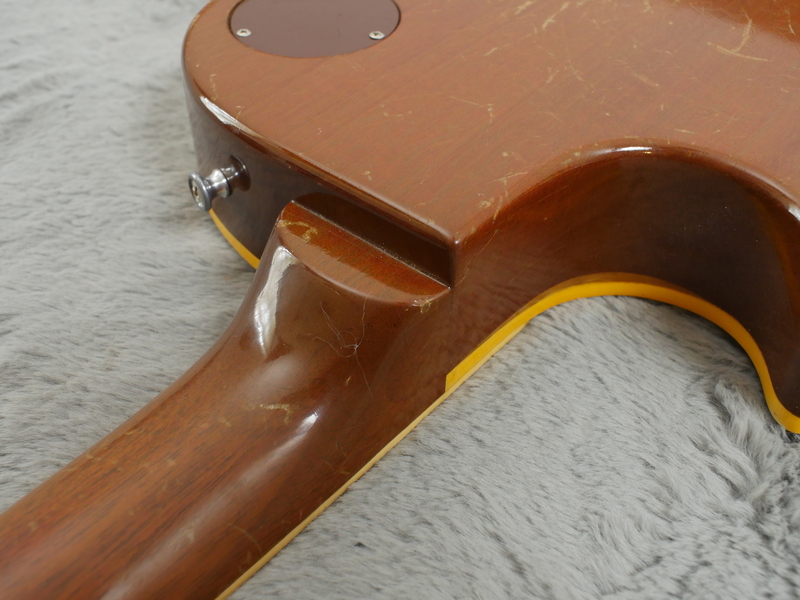 There is a bit of checking on the top as you would expect but none of the usual greening of the finish or any arm wear on the top. 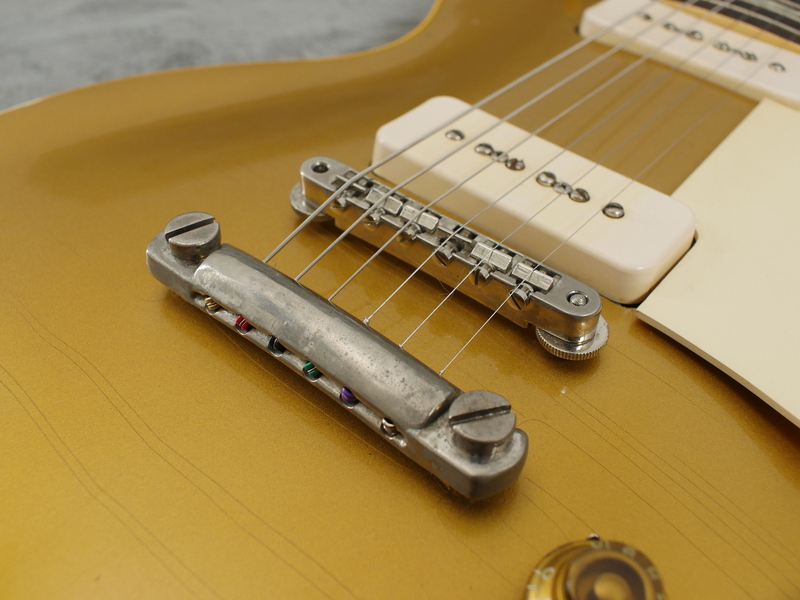 The all original gold finish is still bright and vibrant as is the rest of the guitar, the plastics and even the nickel hardware is in most excellent condition as you can see. 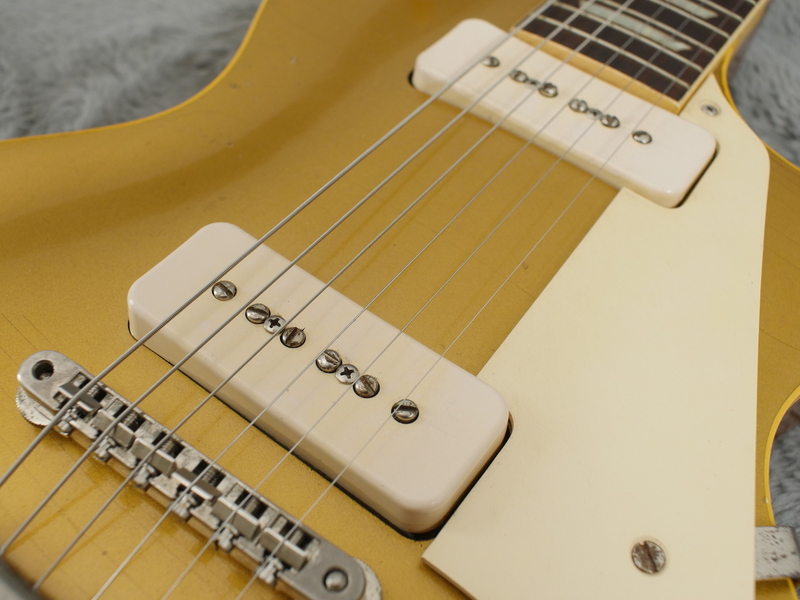 Guitar plays and sounds exceptionally nice with two powerful, all original P-90 pickups and original frets that have good life left in them. 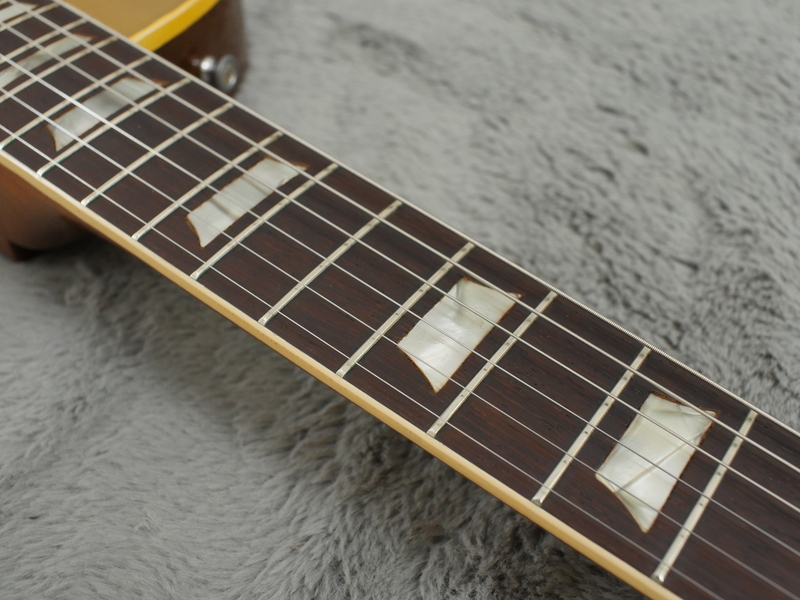 It has a good low action and is a really nice player with a nice weight too.